An infamous incident of Indian cricket occurred in the inaugural edition of the Indian Premier League. After the conclusion of a match between Mumbai Indians and Kings XI Punjab in Mohali, Sreesanth was seen walking off the field with tears in his eyes and a hand on the cheek. Apparently, he had got into a brawl with Harbhajan Singh and the off-spinner had slapped him. Sreesanth was representing KXIP while Harbhajan Singh was leading MI. The fast bowler had bowled an impressive spell to inflict a victory for his side. But as usual, he put up an aggressive display with his antics. He was a bit over the top in his send-offs to the MI batsmen. 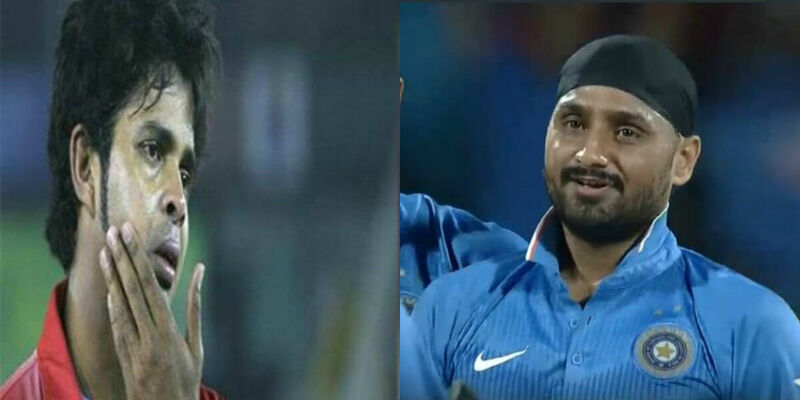 It did not go down well with Bhajji who delivered a slap to his Indian teammate. There is no footage of the incident but it has been one of the highly talked-about ones ever since. Recently, Harbhajan recalled the episode and mentioned that he regrets doing that. He repents his actions that took place more than a decade ago and would like to have changed that if possible. “Whatever happened with Sreesanth.. me and him on the field… a lot of people talk about that incident now. If I have to go back and rectify something in my life, I would correct that. I shouldn’t have done that,” Harbhajan was quoted as saying by Behindwoods Air. “That was a mistake and I am sorry about that. It shouldn’t have happened. Sreesanth is a top guy and he had so much of skill. My best wishes to Sreesanth and his wife and to their children. No matter what people say, I am still your brother,” added Bhajji. Harbhajan Singh and Sreesanth played for the Indian cricket team together even after the infamous row. The duo represented the nation in the ODI World Cup 2011 and ended up on the winning note.